The CasinoViking is back from exploring another online casino and the casino’s name is Slotzo. As soon as he came back from Slotzo he was telling us all about it. He told us how they support mobile and tablet devices. He also loved the fact that they are licensed by the Malta Gaming Authority and UK Gambling Commission. This means the casino is available to a lot of players and countries around the world. In the rest of this review, we will bring you what the Viking could find out about promotions, games, suppliers, support, and payment providers. At Slotzo the main promotions are the welcome bonus. This is also the bonus many potential users will be looking at the hardest and we think players will like it. As it not only gives players bonus funds to gamble with but also gives them free spins on a slot. This site also loves to rewards their loyal users and they do this through their VIP program. The VIP program offers users the chance to get bonus rewards just from playing at Slotzo and levelling up through their VIP program. The higher your VIP level the better the rewards and perks you can earn are, as usual with these loyalty programs. At Slotzo you will find all the usual casino games including blackjack, baccarat, roulette, instant wins, live casino, and slots. You will find a large selection of games in each of these sections. In the Slots section, you will find good games like Mighty Sphinx, Ancient Egypt Classic, Jumbo Stampede, Pearl of the Orient, Steam Tower. 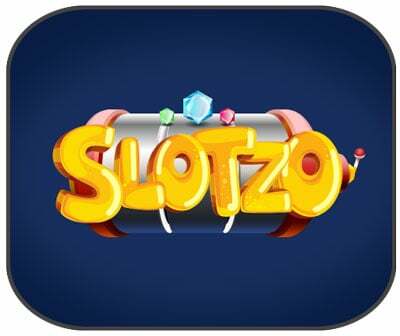 Slotzo are always adding more games and this means users should always have something to keep them entertained. All of these games are from the likes of Netent, Yddrasil, Microgaming, NeoGames, Pragmatic Play, iSoftbet, and many many more. If you ever have to use Slotzo support you can reassure that you will be treated which the utmost “C.A.R.E”. This is an acronym for customers are really everything and is the foundation on which the Slotzos support team was built. You can contact them via telephone, email, and live chat. They also offer an FAQ so users can look up simple issues. As for payment options, you will find they accept VISA, Skrill, Sofort, Neteller, Maestro, and bank transfers. It is worth remembering that there will be terms and conditions for all the payment providers. So make sure you read them and agree with them before depositing. The Viking found Slotzo to be an awesome addition to the world of online casinos. So, let’s summerize this review. The Viking found Slotzo to be an awesome addition to the world of online casinos. He like that he could play of his mobile and tablet as well as the fact that the website was user-friendly and easy to navigate. He found social media accounts for the casino but they had nothing on them which is a shame as they could offer players a way to get instant news on the casino. Other than this small downside he feels many players will fall in love this casino and who is better to trust than the Viking. You can sail to this great casino on the link above.